The holidays are over. I'm writing this at 36,000 feet on my way home after 23 days 'on the road' involving business, family, friends, and some sightseeing. All in all a good time was had. But truth be told I'm happy to be going home. I'm a homebody. I love having my own things around me. I like my routines. In an article for Vanity Fair magazine (“The Proust Questionnaire”, October 2014), the British actor John Cleese was asked, “What is your favorite journey?” He answered with one word: “home”. That resonated with me, but also left me wondering if I'm a hypocrite? After all I'm a lifelong traveler, a career travel professional, and now a travel blogger; all of which I love and am crazy happy doing. Since reading that article I've been contemplating how I can hold two such opposing sentiments...be a homebody AND love to travel so much? And then the answer crystallized while reading the Azamara Club Cruises forum on CruiseCritic.com. In a conversation discussing land tours, a guest wrote, “After a long day exploring I am always happy to return home to my stateroom." That's the answer! My original definition of 'home' was too literal. In reality, home to me is somewhat fluid. It's where my husband is, my favorite things are, and it is my safe cocoon. It is not strictly one physical place. On Azamara, with a maximum of 686 guests, within a day the officers and staff know my name. The wait staff know I drink my coffee black, my husband takes cream. They know I have something of a sweet tooth, he doesn't. The officers and hotel staff extend a friendly greeting and some small talk asking about our time in port or about our plans for the next day. A sense of community is quickly formed. The ship is now my home. 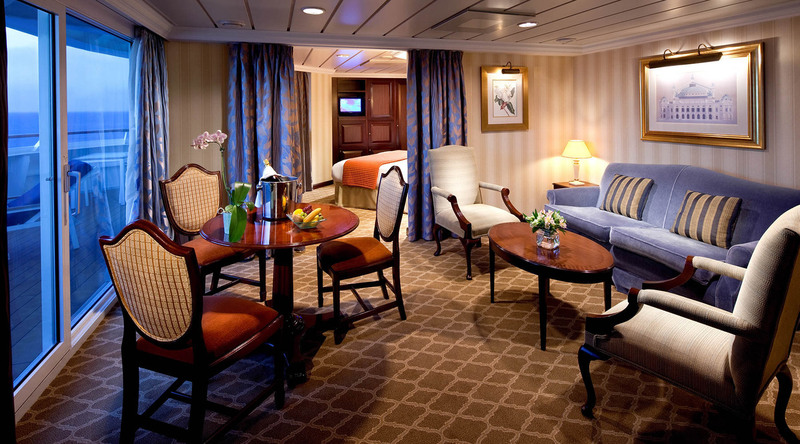 Like the woman on the Cruise Critic forum, at the end of the day I too am always happy to return to our stateroom, put my feet up and not have to worry whether I remembered to buy all the ingredients for tonight's dinner. I'm not cooking! Photos our guests have shared of relaxing with coffee, wine, tea or champagne during their Azamara vacations. In summary, any place that includes my husband, a book, maybe a glass of wine, and definitely a welcoming community, will be home to me, regardless of my length of tenancy. How about you? How do you define home?